When it comes to cleaning the home, there are many ways you can do so. Vacuums, dusters, brooms, and mops are some popular cleaning tools. However, there are so many to choose from which can make picking out the best home cleaning tools a bit of a challenge. This can end up making your home cluttered with different types of tools. This article will explore the top 3 home cleaning tools you can’t live without. They are durable and get the job done quickly. Better yet, they clean many surfaces well, which can help to save you money. If you’re interested in learning more about these helpful tools, keep reading. Below is some more information about these cleaning tools and how they can help you. Vacuums are an excellent home cleaning tool to use because they are versatile. They not only pick up dust and dander from carpets but can do so on furniture and hardwood floors. This makes them a very helpful tool because they can clean many surfaces at once. These products come with many different features, so you can find one that fits your needs the best. You can find pet-friendly ones, hypoallergenic models, and even compact ones you can use to safely clean off stairs. Vacuums also can help to clear up odours which makes them a great option to use to help keep the air in your home smelling good. Check thehousewire.com to find out more about the best cheap vacuums on the market today. Cleaning cloths are a vital tool to have on hand because they can clean up many different types of messes. Not only can you use them to dust and clean off walls and furniture, but you can use them to quickly clean up spills and other common messes that might occur in your home. Better yet, they can often be reused so you can throw them into the washer and dryer and use them again and again. A good type to use in the home is microfiber cleaning cloths which can help to sanitize areas well and keep the dirt and dust they collect on them so they don’t spread around. Sponges are an essential tool to have in the home. These products come in various styles which means they can do different types of cleaning. For instance, there are dish sponges designed to specifically clean dishes. There are floor sponges which are very large and can get into the crevices of the floors to fully clean them. There are abrasive sponges which can help to clean up tough messes on grills or stovetops. You’ll even find dry sponges which you can use to help safely clean off furniture, carpets, and fabric from stains. Because of their versatility, sponges are an important tool to have in the home. They’re also very affordable so you can easily invest in many without fear of breaking the bank. All of these tools are ones we can’t live without and it’s easy to see why. They work to quickly clean up our messes and keep our living spaces clean. Because of this, it’s a good idea to have these three tools in your home. They will work well at cleaning up dust, fur, dander, and other undesirable items from the home that can cause problems. 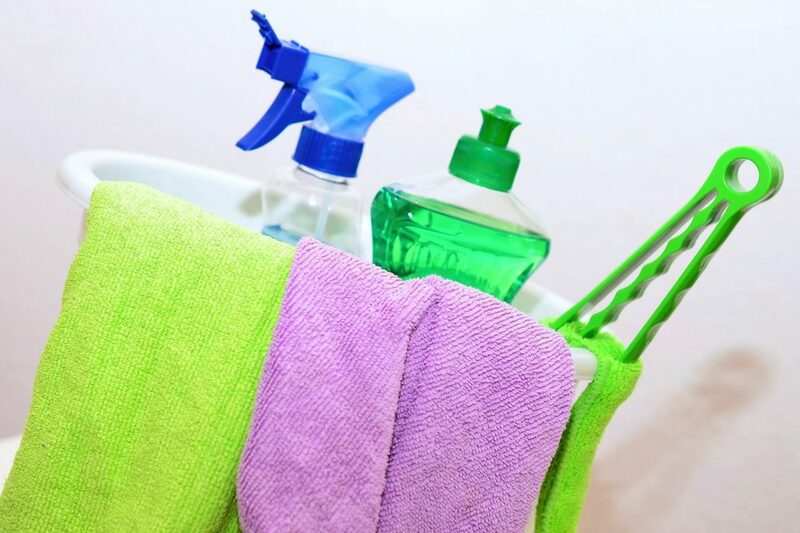 If you’re looking to limit your home cleaning supplies to only vital ones, definitely keep these three products in mind. They are versatile, durable, and clean up spaces well to help ensure your living space stays clean. They are also affordable so you can easily invest in these great tools without fear of overspending.